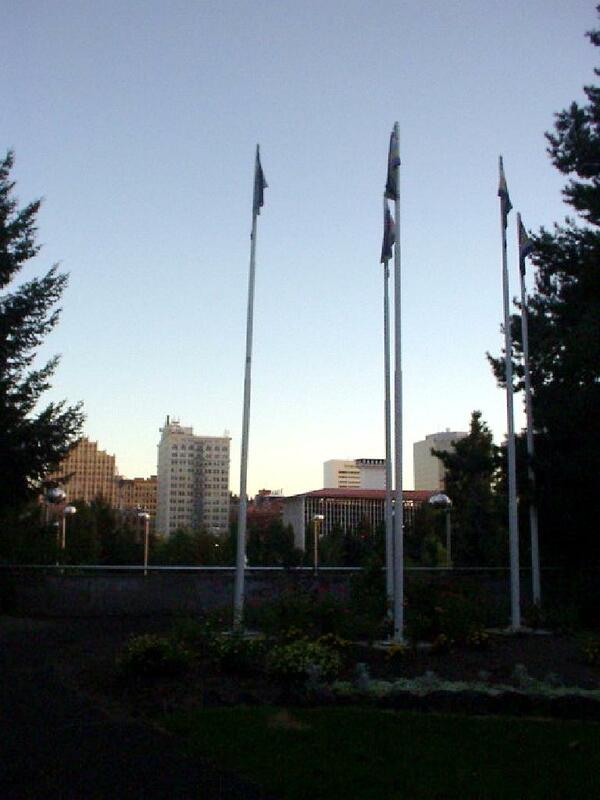 I came to Spokane with uncertainty, mixed expectations but high hopes. It did take me a while to figure Spokane out. Ultimately, however, I left with rather good impressions about “the biggest small town in America” with just a couple of reservations. 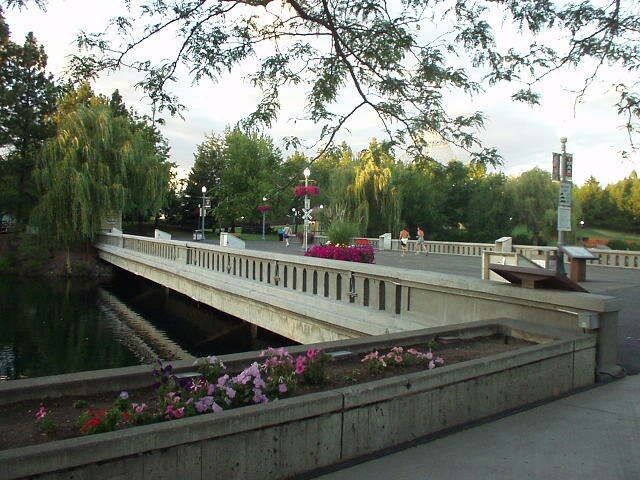 Spokane, in contrast to most of Eastern Washington, is verdant. 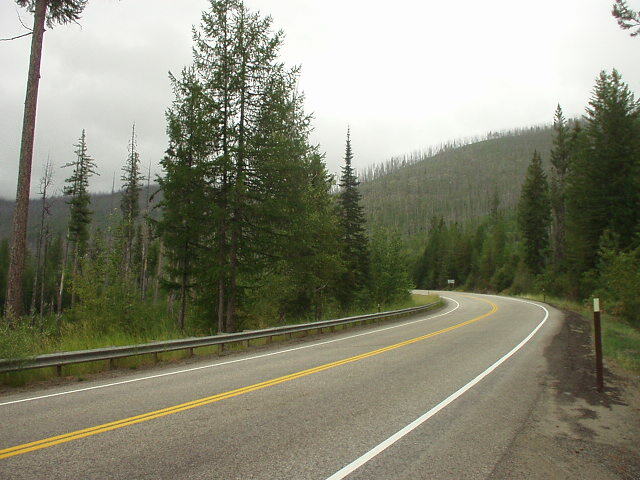 To the north, just 40 miles away, is the Colville National Forest. It makes for a great drive with scenic views. While there are not any really tall mountains around Spokane (the tallest is Mt. Spokane @ 5,889 feet; Spokane itself is 2,000 feet), there are lots of rolling hills around, and consequently, several residential neighborhoods with city and valley views. 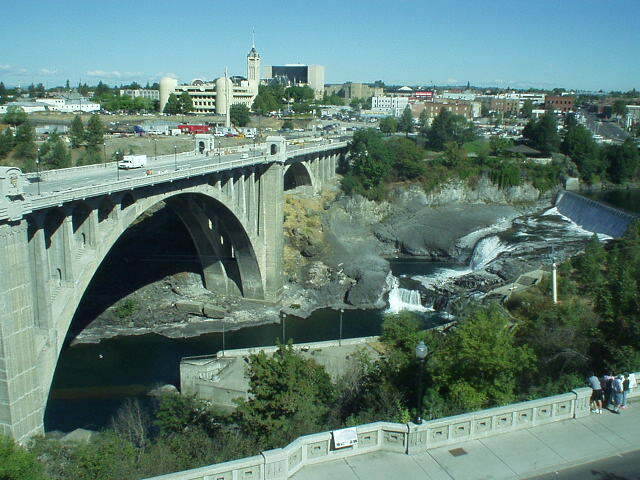 The Spokane River cuts through the city. 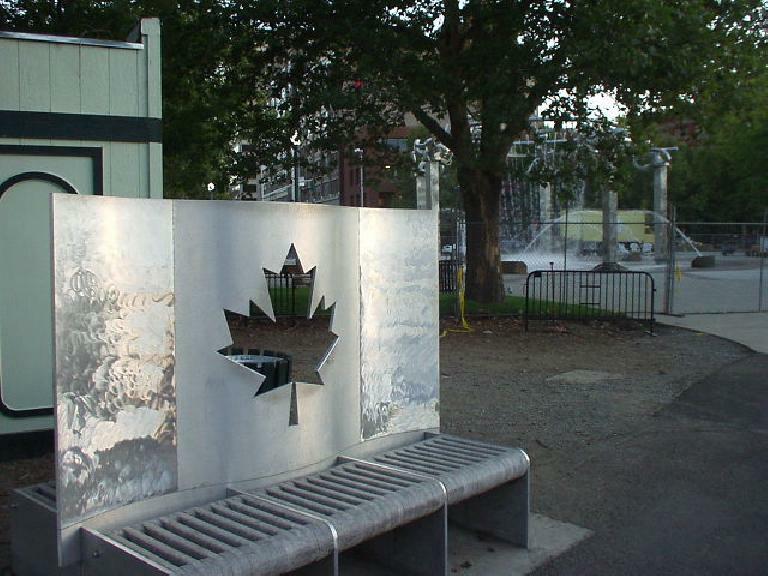 Riverfront Park in downtown—a remnant of the 1974 World’s Fair—is the crown jewel of Spokane. 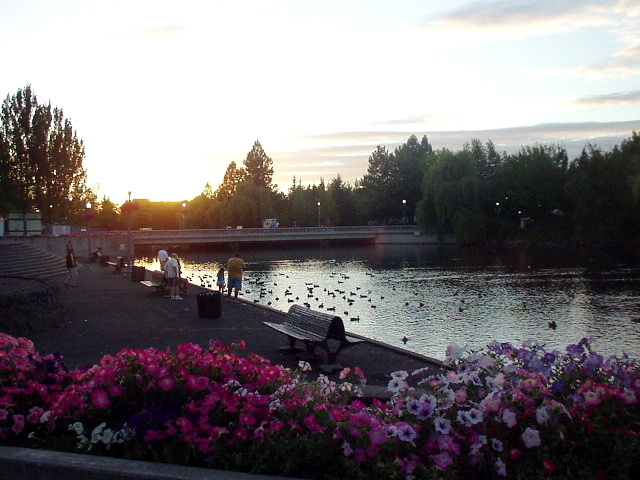 There are other lakes not too far away, including Lake Pend O’Reille to the north, Liberty Lake to the immediate east, and other lakes just across the Washington/Idaho border to the east, including Lake Coeur d’Alene and Hayden Lake. “The thing I like the most about Spokane is the weather,” stated a lady I talked to while getting my hair cut. According to her, it doesn’t rain too much and will hit 100 degrees Fahrenheit only once or twice in the summer, if that. She did mention that everyone in the winter uses snow tires. Indeed, Spokane gets about 49 inches of snow during the winter. My friend Deborah, who lives in Coeur d’Alene about 30 miles away (and hence should experience similar weather), does not use snow tires on her Dodge Durango (which has 4-wheel drive) but did mention that a couple of times a month during the winter she and her husband would use a snowblower to clear out her driveway. I did monitor its weather almost daily during the last year, and from November to March, it seemed like the temperatures stayed a consistent 20-32 degrees for weeks on end. Downtown is clean and gets newer/nicer as it approaches Riverfront Park. The businesses across Riverfront Park include Macy’s, AMC theatres, an IMAX theatre, and some upscale dining. Riverfront Park is one of the most beautiful parks I have seen in a city this size. Downtown is very walkable and feels pretty safe. Finding parking downtown along the streets is even pretty easy. Traffic is not bad at all and I thought even the areas with construction along Division St. (a main thoroughfare) had better traffic than the SF Bay Area. 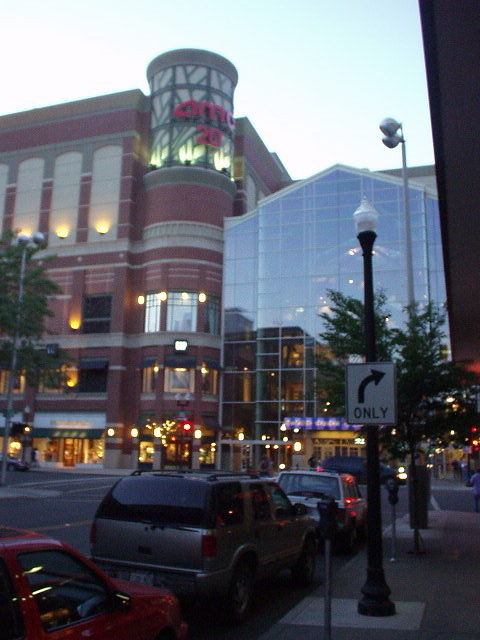 Outside of downtown, the main commercial street seems to be Division St. 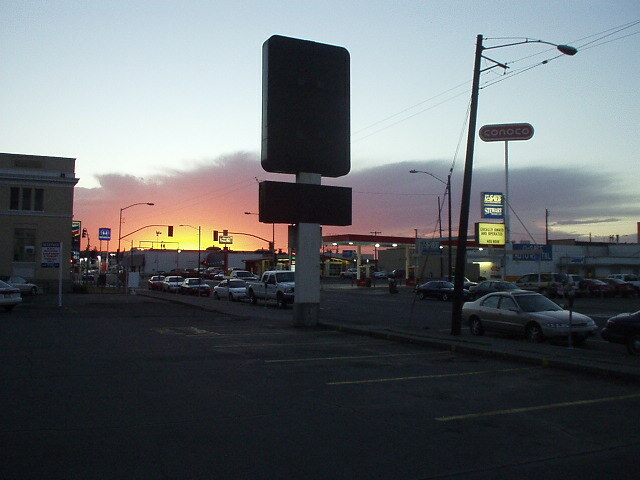 This street (which is the connecting route for Highway 395 and 20) is lined with strip malls, fast food joints, and strip malls from beginning to end. 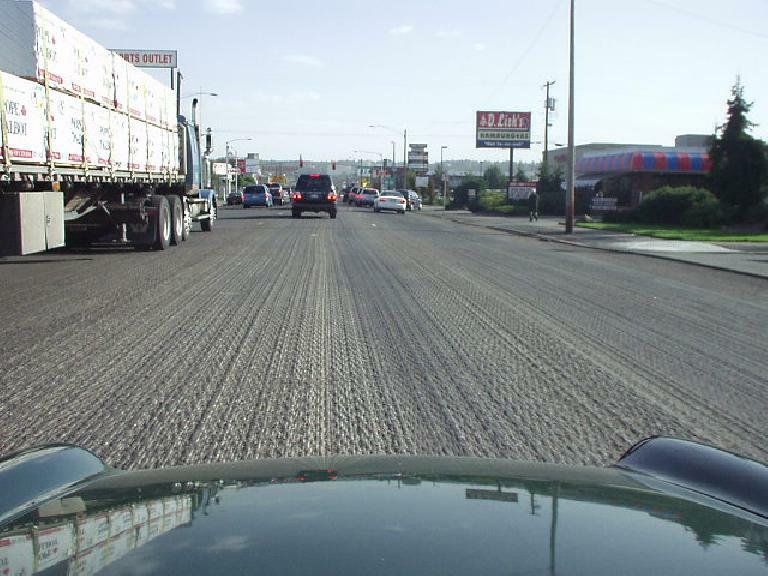 It was the very first road I drove on when getting to Spokane, which instantly formed a negative impression in my mind. It was only later in the day that I realized that, really, the rest of the city is very nice. There seems to be a fair number of cultural activities here including a small Broadway-style theatre, an opera house, and a symphony. Spokane is abound with lots of recreational activities and was even one of Outside Magazine‘s 7 Dream Towns in 1996. 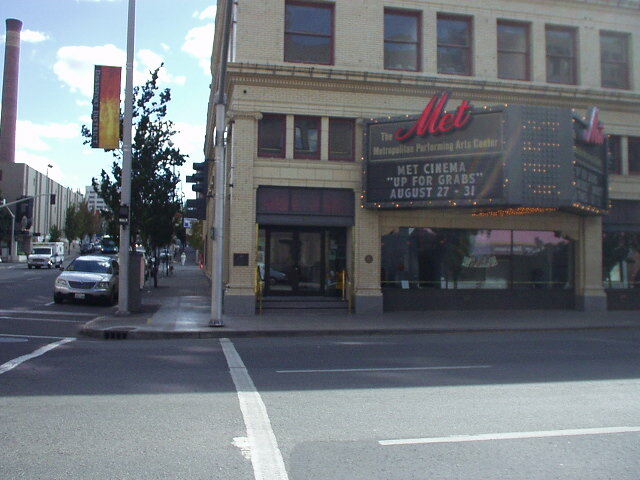 The is rock climbing nearby (at least some in Post Falls, ID, and perhaps other regions), plus skiing on Mt. Spokane which is only about 25 miles from the city. The Spokane River Centennial Trail offers 39 miles of pavement for runners, cyclists, bladers, and walkers. It goes all the way down to beautiful Lake Coeur d’Alene in Coeur d’Alene, ID. The area offers ample kayaking and fly fishing opportunities. Riverfront State Park and Mt. 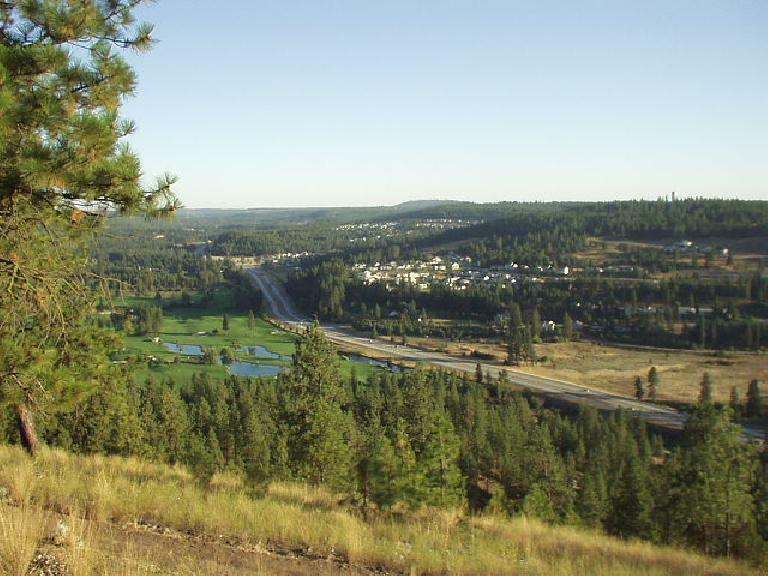 Spokane State park offer hiking close to the city. 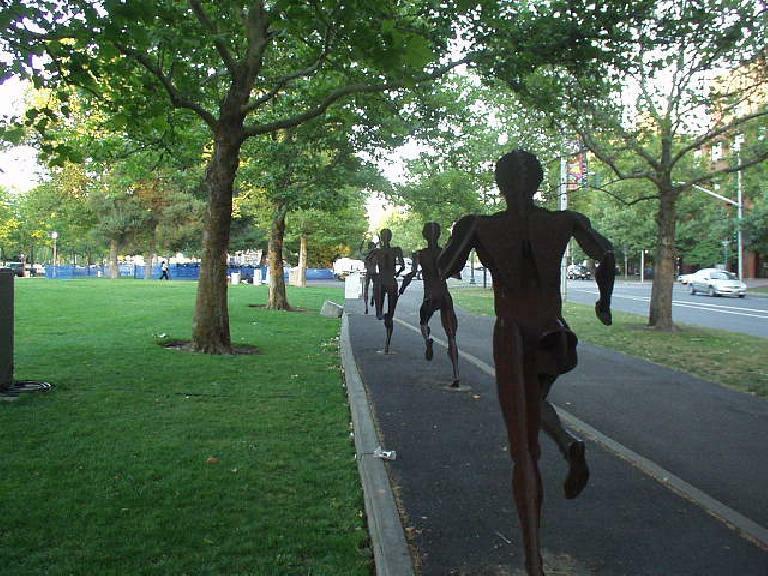 One of the largest runs held in the nation—the Bloomsday Run (just under 8 miles)—is held each May with ~40,000 people participating. The largest 3-on-3 basketball tournament (Hoopsfest) is held the last week of June here—the same weekend as Ironman Coeur d’Alene—making finding last-minute hotel rooms difficult. Real Estate here is amazingly inexpensive! One could find a newish 2000 sq. 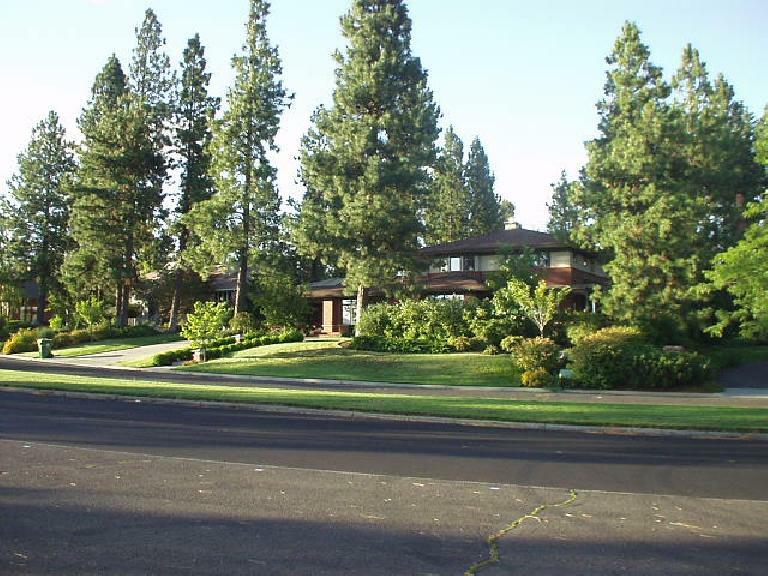 ft. home for $175,000 and larger homes on a hill with a view for under $350,000. 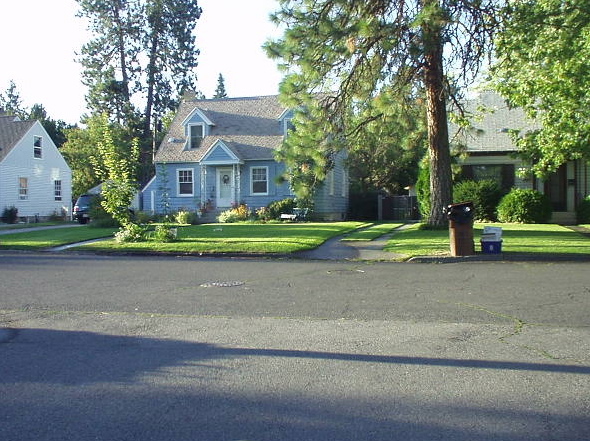 All of the neighborhoods I saw in Spokane were beautiful, with well-kept front yards and lots of trees. 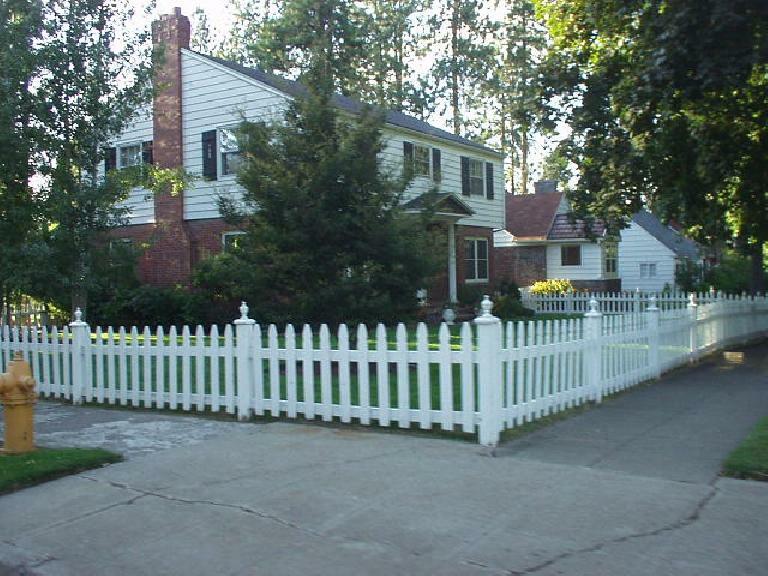 This seems to be a family-oriented town and people take pride in keeping up their homes. One reason real estate is as inexpensive as it is is that people are not paid squat here. The lady cutting my hair was working as a hair cutter in addition to working for the city in order to make ends meet. 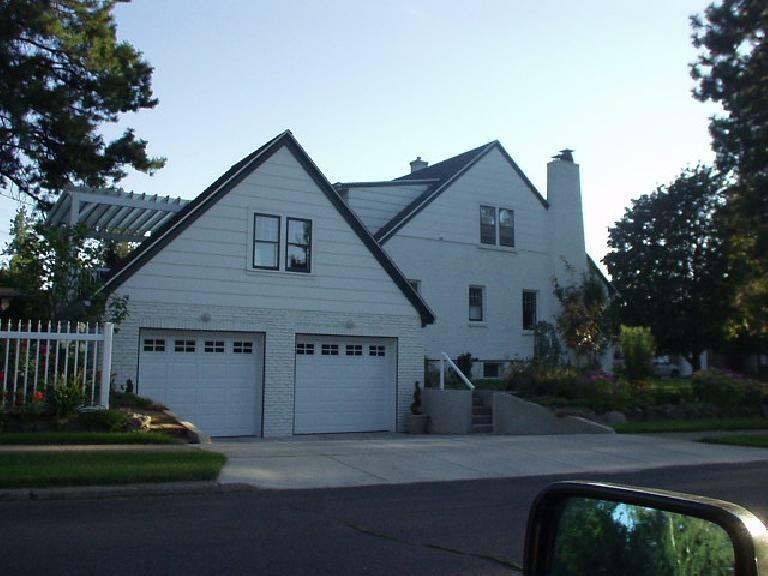 The average household income is around $33,000. That said, unemployment is low and supposedly, many companies are moving here. Crime is above the national average but on par with Portland’s. There is a low drug problem. I felt safe in this family-oriented town. People seemed friendly enough, although it is easy to make some generalities about them. First off, esp. after spending the last month in Bend, Hood River, Portland, Seattle, and Squamish, it was alarming to see how many morbidly obese people are here. Seemingly everyone here is fat, and this includes many of the 20-somethings. How could this be in such a recreation-rich town is perplexing. My theory is that the low income levels and plethora of inexpensive fast food restaurants has a lot to do with this. When I went into a 24-Hour Fitness in the afternoon downtown, I was one of only 3 people in there. While it was nice not to have to wait to use machines or benches, it was a big contrast to the gyms in Portland which were always full. Here in Spokane, even the employees of the gym were overweight. Upon getting into Spokane I had the joy (sarcasm) of driving next to several cars filled with ground-thumping bass, the type that you can feel through the seat of your pants and prevents you from hearing your own music. 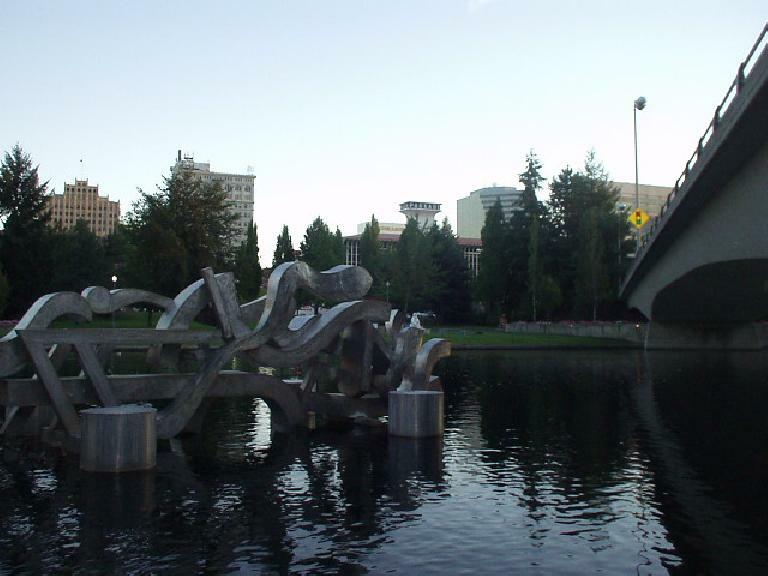 I had other indirect encounters with punk kids, like the time when I was downtown near Riverfront Park and 2 groups of them started fighting and yelling at each other. Despite there being numerous colleges here (including Gonzaga, Whitman, Eastern Washington University, and Washington State University, along with several community colleges), the town seems very much like a family town. Indeed, the average age is 35. Many men above 35 come across as “mountain men” who don’t shave with beer bellies hanging out of their T-shirts. These impressions are certainly superficial and maybe a bit harsh—and at the very least, reveals my own prejudices—but I do feel that morbid obesity is much more than an aesthetic issue. It, like smoking, is a health and lifestyle issue ruled by much more than genetics and clearly demonstrates where one’s priorities are. Spokane itself is a great town in a wonderful environment, with beautiful neighborhoods, a clean downtown, gorgeous Riverfront Park, and a plethora of recreational and cultural activities. That, coupled with a low cost of living, make this a very attractive place. My main reservations about the place include being surrounded by tubs of lard (sorry) and that some snow-shoveling is required in the winter. And unlike, say, Boulder, the winter days are consistently cold, though not overly harsh compared to Minnesota and New York standards. this was a great article. 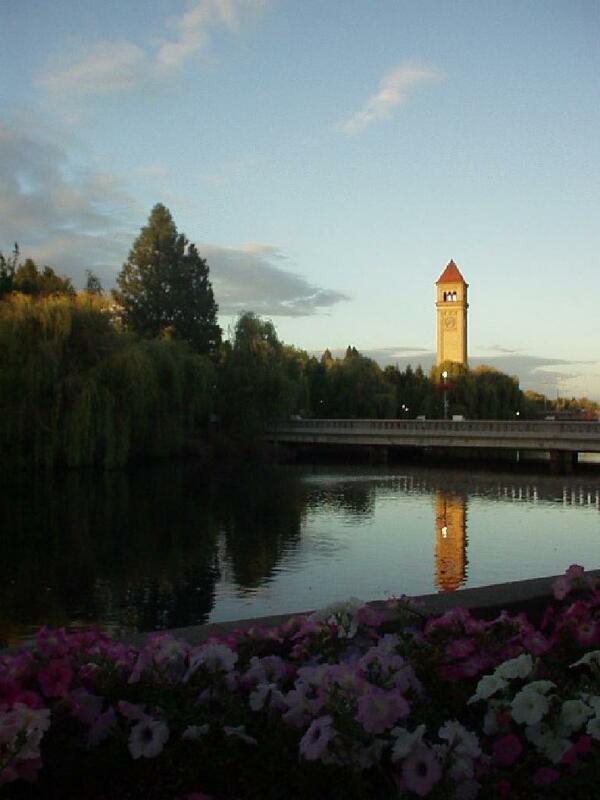 I was thinking of moving there, but I hate snow and mountain men..
What a great story about Spokane! Thanks, enjoyed the photos also! I also thought this was a great article. I have lived here my whole life and totally agree with the words I read. Chris, mentioned that he might move here. I am a realtor here in Spokane and work for people helping them move into Spokane.